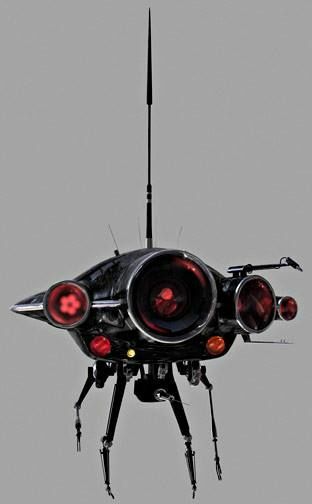 The Prowler 1000 seeker droid, or simply Prowler probe droid, was a model of probe droid used by the Galactic Empire. Smaller than the Viper probe droids also utilized by the Empire, Prowlers weren't designed for long-distance travel and were instead used for local surveillance. The droids had multiple limbs, as well as a flat, disk-shaped body. A transceiver dish was positioned on the Prowler's underside, allowing it to send transmissions even after the droid was seemingly destroyed.